Unbiblical trends in the church tend to snowball, producing even worse trends; each heretical book or teaching that comes along seems to lead to more serious deceptions. The Bible warns in 2 Timothy 3:13 that in the last days, 'evil men and seducers [imposters] shall wax worse and worse, deceiving, and being deceived,' suggesting a progressive pattern of deception that requires our vigilance. Jim Wallis' foundation is Leftist Communism! His views were completely in line with the views of hard line Soviets. Wallis' Sojourners Magazine never criticizes a Marxist state. The U.S. and the West are the only violators of human rights to them because they are capitalist. Marxists, by Sojourners own definition, cannot violate human rights. Sojourners mission is to articulate the biblical call to social justice, inspiring hope and building a movement to transform individuals, communities, the church and the world. This is also the definition for 'social-ism': a government-controlled economy and the redistribution of wealth, i.e., Communism. 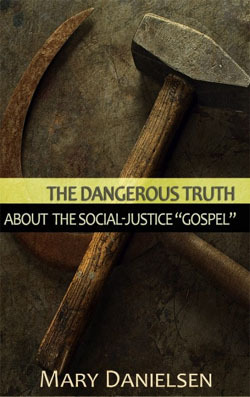 the social gospel places all the emphasis for how to live an 'authentic' Christianity on good works, as in meeting the needs of the poor and 'marginalized.' It replaces the primary message of salvation through grace by faith in Jesus Christ with fixing society as the primary communication of truth and redemption. Wallis' social justice turns all the political hot-button issues of the day into moral issues with a divine, biblical mandate. Everything from the economy, jobs, and education, to healthcare, global warming, race issues and immigrationnow carries with it the moral imperative of fairness, equity, and validity. In other words, 'Communism by another name'!